Marvel has made the post-credits scene famous, teasing fans with exciting revelations like the Avengers Initiative and the Infinity Gauntlet. With Justice League on the horizon, set to hit U.S. theaters in just 10 days, it looks like the DC films are going to be joining the credits trend. During an interview with BBC Radio 2, Justice League and Aquaman star Jason Momoa confirmed that the upcoming film does in fact include a post-credits scene. He also revealed that it's one that fans won't want to miss. Ore Oduba, host of the show, asked Momoa if the fans needed to watch Justice League "right to the end," and Momoa's response was very encouraging. "They do," Momoa confirmed. "You gotta sit through the whole thing and go through the credits." As he was pressed for more information, Momoa kept his lips sealed. "I don't wanna give it away," he said. "Am I the guy that's gonna spoil it? Is that why I'm on the live show?!" Oduba went on to say that, having seen the film, he was excited by the scene at the end of the credits. Momoa continued with his story from the premiere, saying that he actually forgot that there was a post-credits scene and had to rush back into the theater because he didn't want to miss it. "I walked out," Momoa admitted. "But I had to run back in because I forgot that it was in the script." 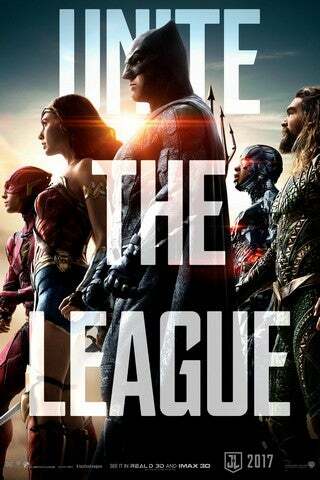 So, be sure to stay through all of the credits when Justice League hits theaters, as it sounds like the extra few minutes will be worth your time.